Triad Boatworks provides a full spectrum of repairs and marine services to our clients. We have earned a reputation within the local marine industry for providing top notch, reliable repairs and services. 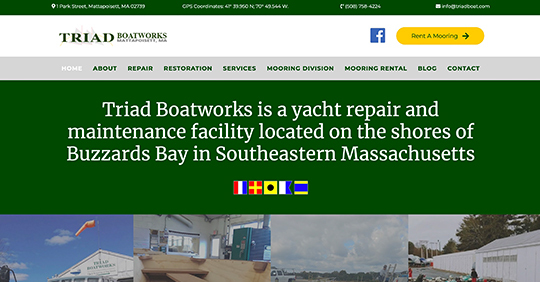 Our award-winning work and experience with top industry names and well-known vessels throughout the New England region, have helped to earn us a solid reputation in the local marine community. We provide full mooring service to our clients, as well as inspections, new builds, repairs and relocations. Mooring rentals in the Mattapoisett harbor are available starting Spring 2019.